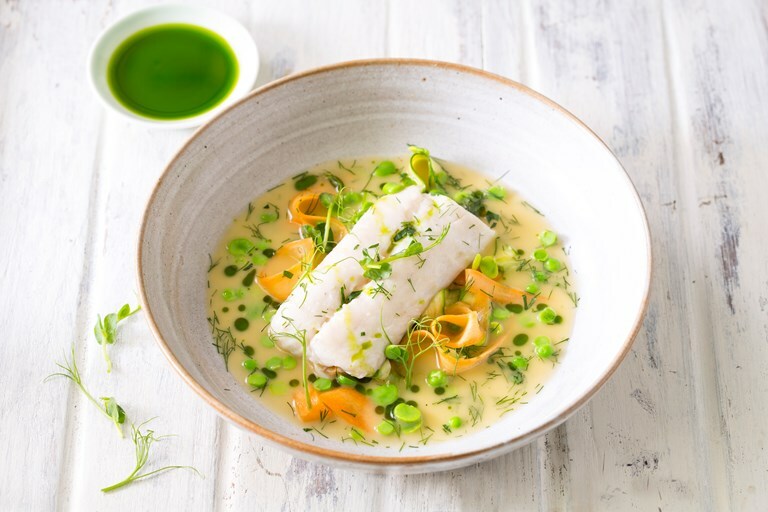 Adam Simmonds serves up a beautiful baked hake recipe, served with colourful seasonal vegetables and finished with a vibrant dill oil. The fish is baked on a bed of lemongrass and shallot for an aromatic finish. Dill oil is very quick to whip up in the Vitamix but requires time to strain to give it a crystal-clear finish, so make sure you plan ahead.